While I really cannot claim to be a person with a green thumb, I have an immense love for plants and like to have greenery all over the house. However, living in an apartment my ‘garden’ is limited to small spaces in the balconies and window sills and grills. Since space is a constraint most of my greens are limited to small pots, mugs and odd containers. 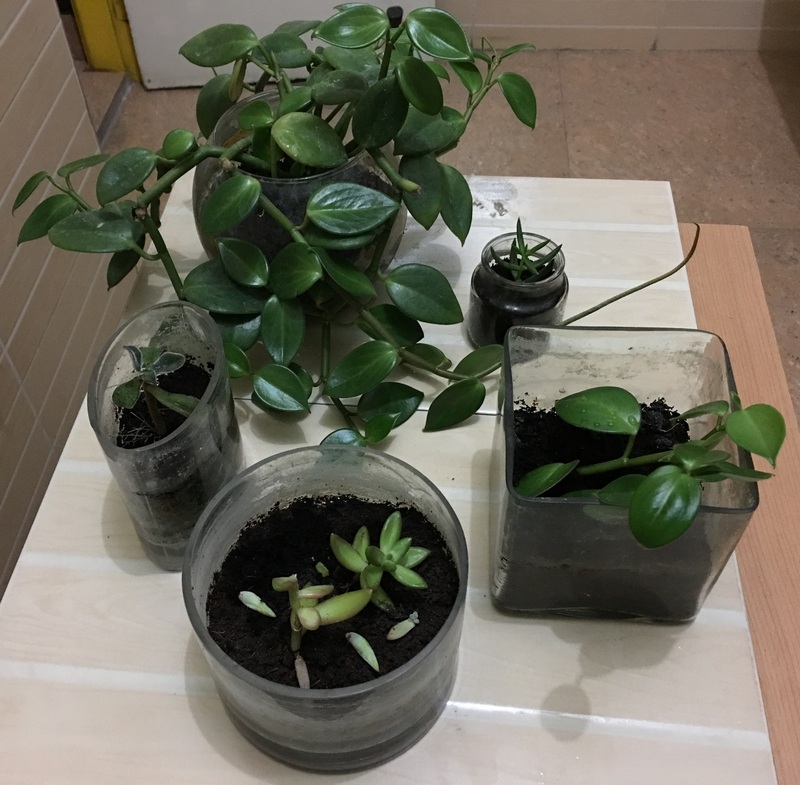 While I have lots of water plants in glass containers, I recently discovered that bottles filled with soil also give great results as elaborated below. The glass (preferably plain/white glass to allow for sunlight) needs to be first filled at the bottom with a small amount of charcoal that is roughly powdered and then filled upto the middle with coco-peat. Then choose any plant that is generally sturdy and does not require too much water and sow it right in. You are done! Succulents, any variety with slightly thick leaves that inherently store water and even money plants fit the bill and grow well in bottles. Slow growing plants are also a good option. Take care not to water them excessively; I usually water them once in four days and sometimes even leave them for a week without water depending on the type of plant. So if you are really busy but still enjoy the company of plants, this is a great ‘low maintenance’ option. Keep them on your window sill and enjoy. 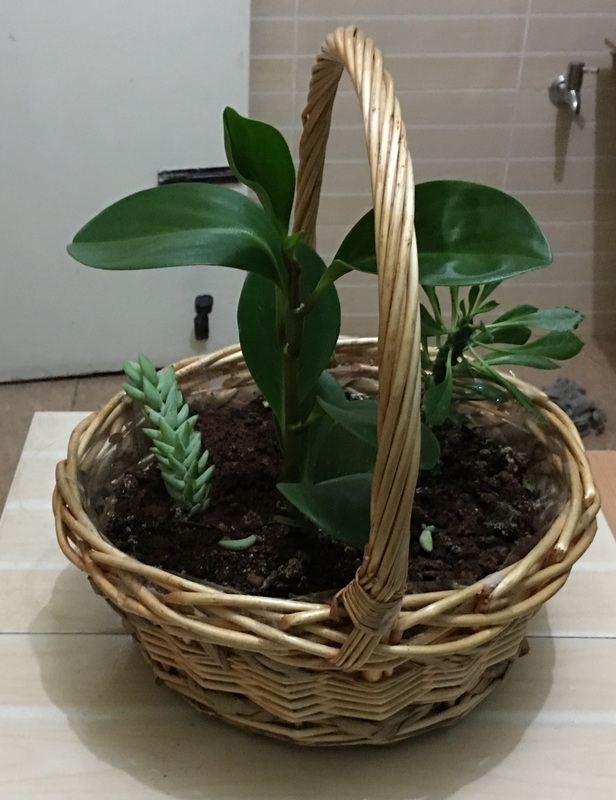 Unused cane, bamboo or plastic baskets can double up as planters. First cover them with a layer of plastic sheet all around and then fill the basket with normal soil. The type of plants that grow well are again small succulents and other slow growing varieties. This also needs less water. 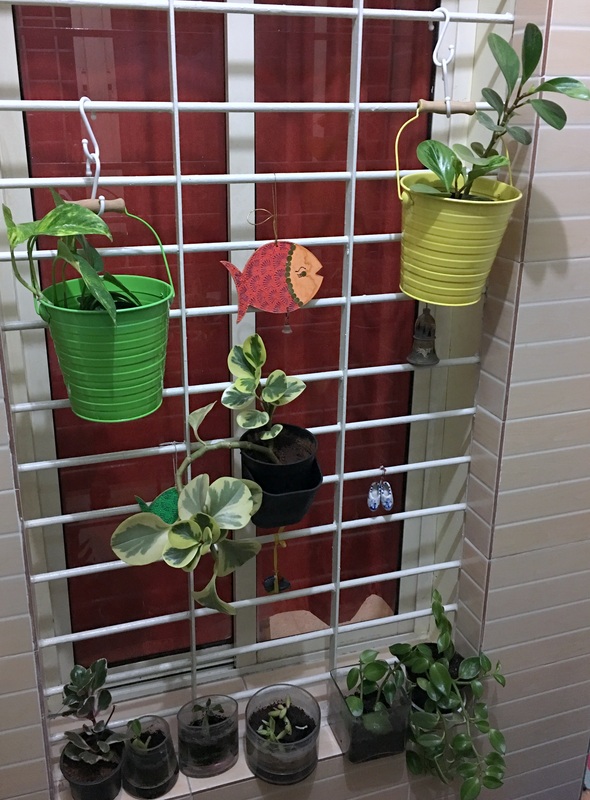 Hi Rashmi, liked the idea of using glass containers and baskets as planters.One question, are there any holes for the water to drain out? No Reema; there are no holes. In fact that’s the idea and hence you water them quite sparsely. Glad you liked it Reema, share the pictures of your green basket once done. I absolutely love how eco-friendly these are!! What a wonderful idea! !